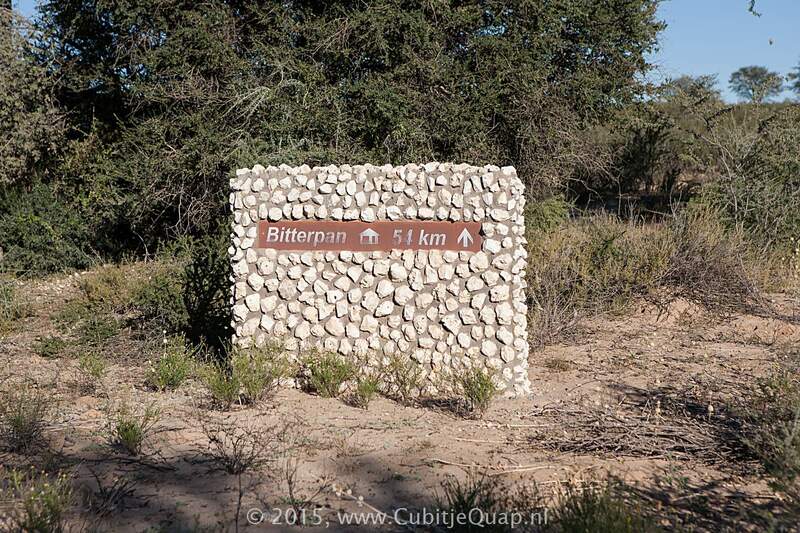 Explanation of name: Afrikaan "Die tsammas hier is bitter", in English "Tsammas here are bitter". 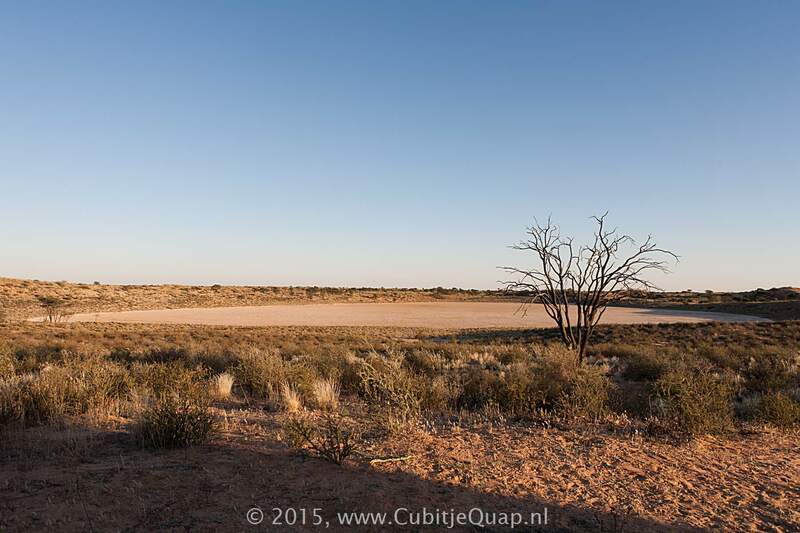 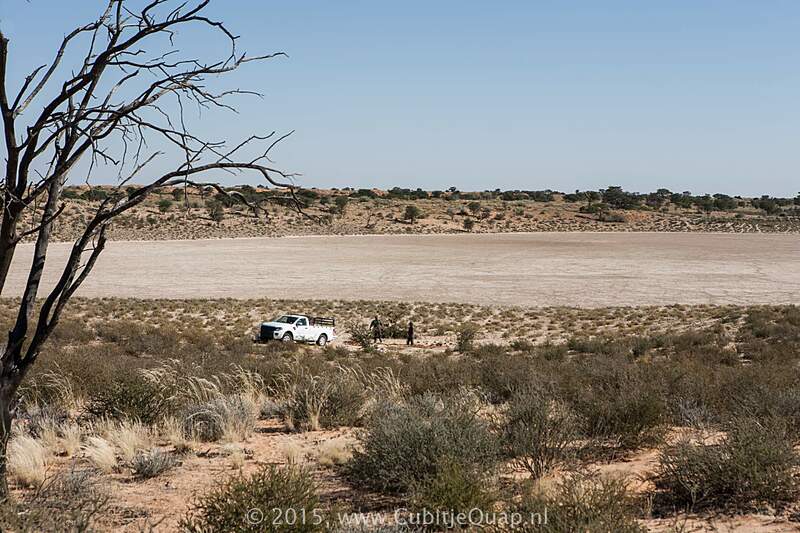 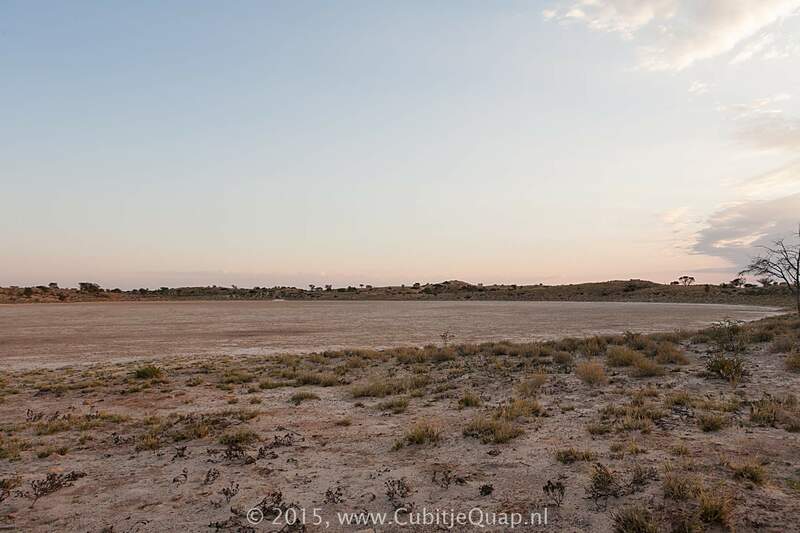 Photography: The waterhole is located on the edge of the salt pan. 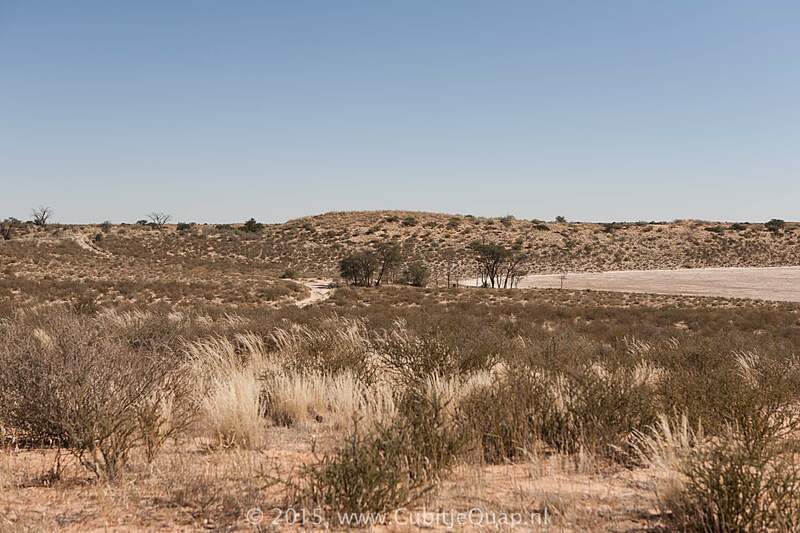 It is visible from the Bitterpan cabins, it is to the north-west and quite far down the hill. 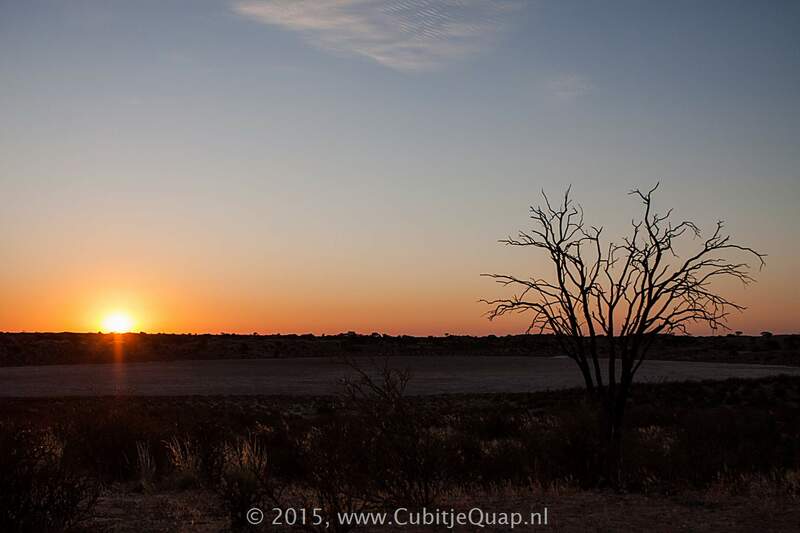 Light is difficult. 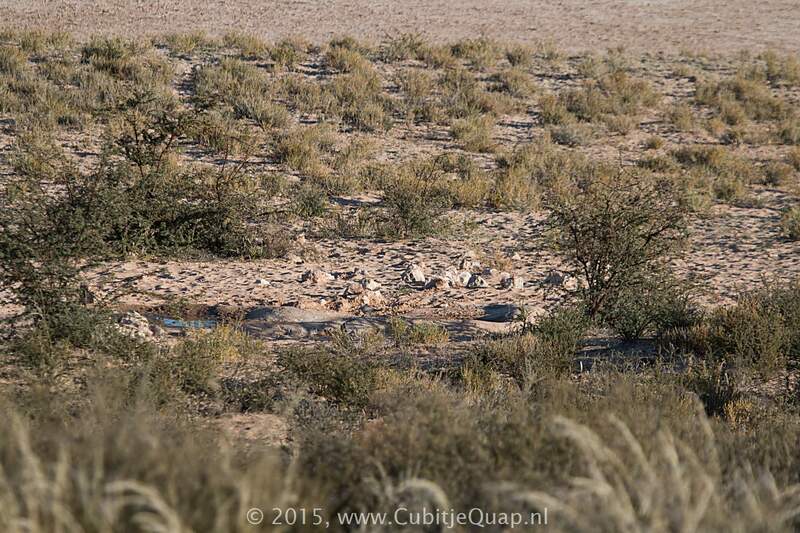 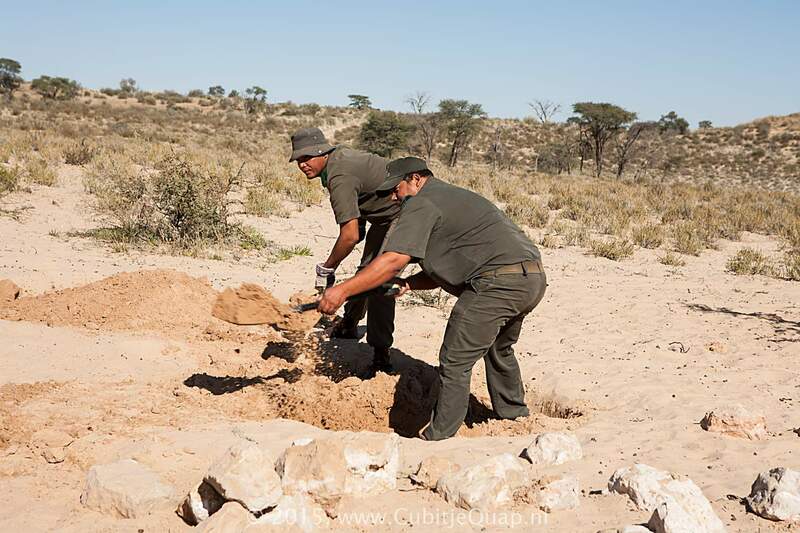 Additional information: During our stay at Bitterpan Camp on June 8th 2015, construction works for the new Bitterpan waterhole started. 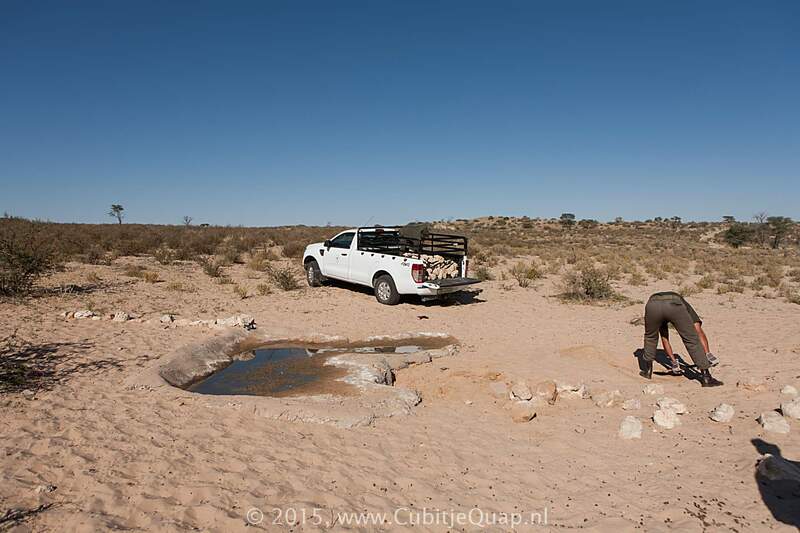 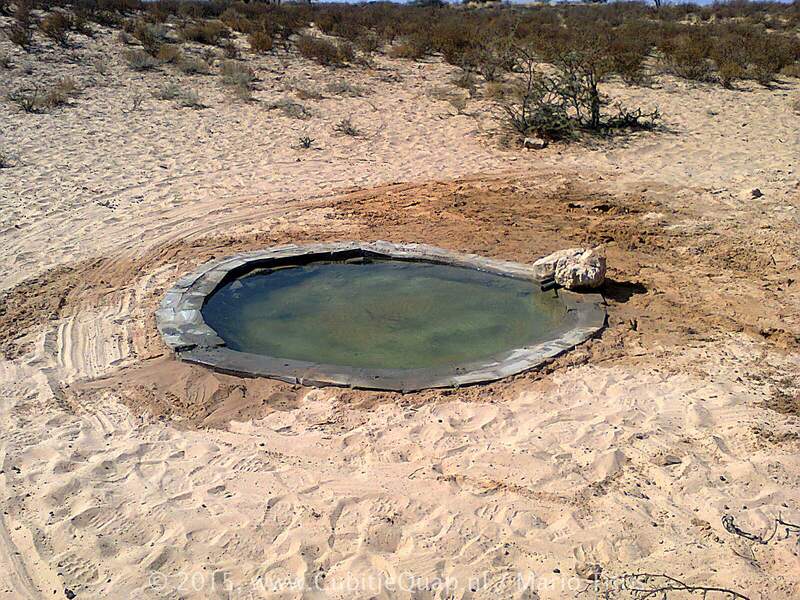 We thank Mario Titus for providing an image of the waterhole after the completion of the construction works.